Hair health, fullness, and sheen are often indicators of the body’s internal wellness. Many diseases, conditions, and subsequent treatments trigger hair loss or dull, breaking strands. Two of those conditions are hypothyroidism, and hyperthyroidism. 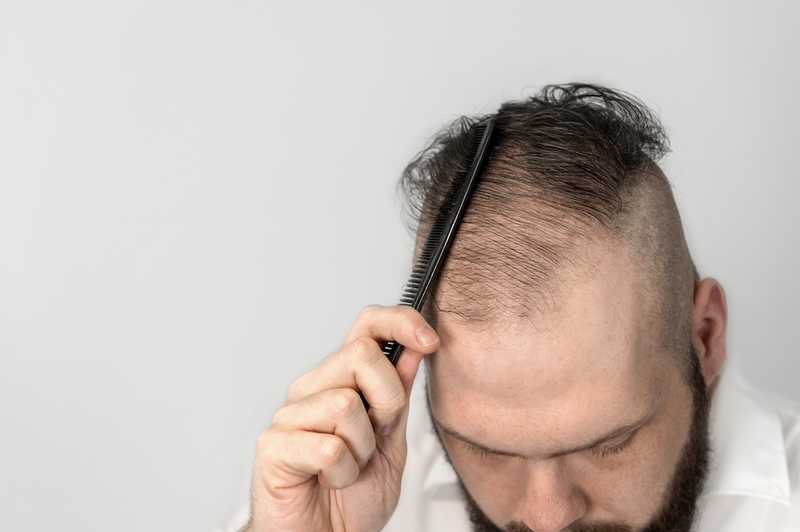 While they are complete opposite in terms of their issues – one is an overproduction while the other is an underproduction of hormones – they share a common symptom: hair loss. If you suffer from a thyroid disorder and are currently experiencing hair loss or balding, knowing why and the steps you can take to combat this unfortunate side effect is important. The thyroid is a gland that releases a steady amount of hormones in the body. It’s pertinent to proper metabolic functions, growth, and development. The thyroid is located just below your voice box on the front of your neck. It is shaped somewhat like a butterfly with two lobes on each side connected in the center by a thin tissue. The thyroid stores hormones in small droplets within it’s vesicles, or follicles. The thyroid is responsible for the production of three key hormones: T3 (also known as triiodothyronine), T4 (also known as Tetreaiodothyronine), and Calcitonin. T3 and T4 are both made up mainly of iodine. Being the main component of two thyroid hormones, the thyroid requires iodine to function properly. Usually, the body absorbs iodine through the intestine and enters the blood stream. Then, it’s transferred to the thyroid gland to build T3 and T4. The body cannot produce iodine on it’s own since it’s a trace element. One reason for an underactive thyroid, or hypothyroidism, is a lack of iodine. Other potential causes are genetics, age, Hasimoto’s thyroiditis, and various medications. Under-activity usually develops over time, rendering it hard to notice. The symptoms are weight gain, slowed metabolism, loss of energy, tiredness, difficulty concentrating, slow pulse, constipation, and hair loss. Many patients with an underactive thyroid assume their symptoms are part of the aging process, rather than a serious hormonal condition. Hyperthyroidism, on the other hand, occurs from an overproduction of hormones in the thyroid gland. Energy metabolism speeds up and overactive thyroids lead to hot flashes, trembling, insomnia, racing heart, fatigue, diarrhea, weight loss, and hair loss. Autoimmune diseases, issues with the thyroid axis, or autonomy from the pituitary gland are the three main causes of an overactive thyroid. The pituitary gland is responsible for regulating the amount of thyroid hormone produced, and a lack of communication between the two can cause overproduction. Why does a dysfunctional thyroid lead to hair loss? Both hypothyroidism and hyperthyroidism can cause hair loss. First, overactive thyroids sometimes lead to an increased development of DHT. DHT influences the development of sexual organs and secondary sexual characteristics, including physical appearance. But too much DHT can cause hair follicle shrinkage or elimination, resulting in shedding or thinning hair. Therefore, when an overactive thyroid impairs the production of DHT from testosterone, balding occurs. For patients currently prescribed medication for an underactive thyroid, it’s important to note the side effects. One of the most common treatments is levothyroxine sodium, which also goes by the brand names Synthroid, Levoxyl, Levothroid, and Unithroid. 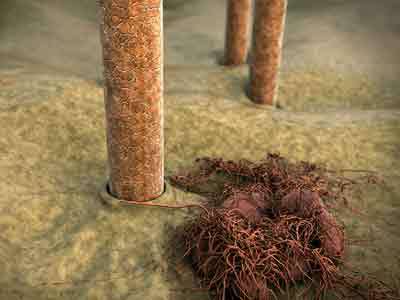 Sythroid specifically has been shown to cause long-term hair loss in patients. Whether you’re suffering from hair loss due to a hormonal imbalance from hypothyroidism or your thyroid medication is causing your hair loss, you have options for treatment. 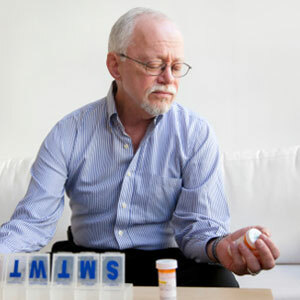 First, many individuals take additional medication to offset the hair loss from their current thyroid medication. Results vary since medication affects every individual differently, but make sure to consult your physician prior to adding or subtracting from your current regimen. Hair transplant surgery is another treatment option known to deliver consistent results. 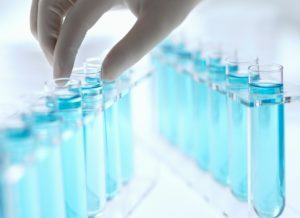 Given the advances in hair transplants, such as the Follicular Isolation Technique (FIT) developed by Dr. Paul Rose, transplants are more naturally looking than ever. Using FIT, Dr. Rose extracts individual follicles from donor areas and moves them to balding areas with little scarring. Follicular Unit Transplantations (FUT) is a more traditional approach offered by many restoration experts, including the Hair Transplant Institute of Miami. Many individuals aren’t candidates for additional medication or hair transplant surgery after suffering from thyroid-related hair loss. Low-level laser therapy, or LLLT, uses safe lasers to stimulate hair follicles. At-home laser caps can be worn underneath virtually any hat or covering. If you’re suffering from hair loss related to an underactive or overactive thyroid, the Hair Transplant Institute can help. We offer a variety of treatment options, customized to individual conditions, to revert this unfortunate side effect of thyroid dysfunction. Visit Miami Hair online, or contact our institute at 305-925-0222 to learn more about our personalized approach to hair loss diagnosis and treatment. We’re excited to announce that Dr. Nusbaum and Dr. Rose have been published in the August 2013 edition of the Facial Plastic Surgery Clinics of North America Hair Restoration review. We congratulate our lead surgeons, and welcome Miami residents to get a brief look at one of the topics they covered in great detail: Treating hair loss with Finasteride, also known by the brand name Propecia®. More on this publication. Published quarterly, “The Clinics” gathers reviews and testimony from the nation’s leading cosmetic and reconstructive surgeons on a variety of medical and surgical disciplines. Disciplines are many and varied, spanning 59 unique areas including Veterinary, Dental, and Nursing. The Clinics is widely recognized as a leading reference for surgical professionals and residents/ prospective cosmetic surgery patients who desire current information on new treatment protocols. Published by surgeons, the reviews are widely recognized for providing in-depth coverage, unparalleled detail, and expert insight. Finasteride is a leading non-surgical option for the treatment of male pattern baldness. 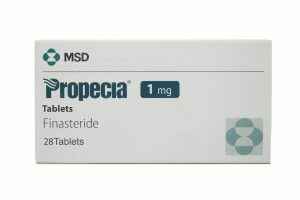 Most patients recognize Finasteride by the brand name Propecia®. When comparing different treatment methods, the claim-to-fame of Finasteride is that it helps patients maintain existing hair. In studies, it has been shown that about 82% of men who begin taking Finasteride maintain their original follicle count. A smaller but sizable number of men (64%) experienced re-growth of hair after about 2 years of continued use. One of the primary causes of male pattern baldness is DHT, a synthesized version of testosterone that becomes more prevalent in males as they age. Over time, DHT causes a phenomenon known as hair miniaturization, which eventually causes baldness to progress. How it works. Finasteride inhibits a critical enzyme needed to convert testosterone to DHT. With continued Finasteride dosage, DHT production is halted and baldness stops. Continued use of Finasteride may have side effects, however, as detailed below. Can Women Use Finasteride to Treat Hair Loss? Platelet Rich Plasma (PRP), though this treatment is most effective when used in conjunction with a surgical hair transplant. A professional review of Finasteride reveals that the hair loss medication has clinical trials to support its effectiveness in treating symptoms of male pattern baldness. For additional reviews and information, visit this page on Finasteride reviews. Please Note: The above links to Drugs.com, a third party website on which the opinions shared do not necessarily reflect those of our Institute. 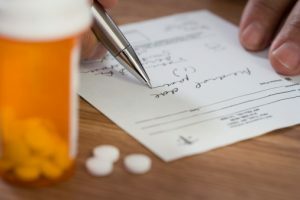 Always consult a licensed medical professional prior to starting, stopping, or changing your prescription medications. At the Hair Transplant Institute of Miami, we offer numerous non-surgical hair loss treatment options including Propecia® (Finasteride), Rogaine® (Minoxidil), and exciting new Low Level Laser Therapy (LLLT) designed to stimulate follicular activity and hair growth. To learn more about these clinically proven hair loss treatments, schedule a hair loss evaluation online or call our Institute directly at 1-877-443-9070. (i) Nusbaum, Bernard M.D., Rose, Paul M.D. Side Effects of Finasteride. Facial Plastic Surgery Clinics of North America. 2013 August; 337-338.